As well as our main range of strapping machines, we also supply, maintain and service a range of Pallet Wrapping Machines. 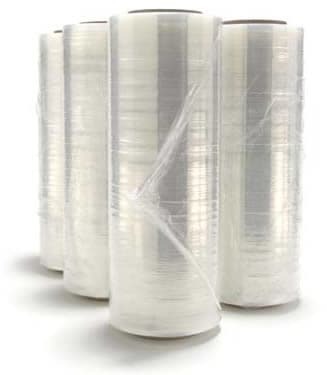 These machines are used primarily for safe and secure wrapping of multiple items into a semi rigid structure by use of a polythene wrapping (much like household cling film but stronger). Themachine rotates around the package in a circular motion, encasing the items in a very short time period which is much quicker than conventional pallet wrapping by hand. Extremely useful in high volume production environments. Wrapping Machines have a rotating footplate on which the pallet sits. This then revolves whilst a roll of pallet wrap is fed from the side, creating a secure pallet with minimised topple and spillage. The new range of Semi Automatic Pallet Machines are designed & manufactured to meet any pallet packaging requirements you may have We have several types of these machines available, from a basic wrapper to a top of the range model. Acre Packaging can also service and maintain any and all pallet wrap machines you may currently use. Acre packaging supply a range of Pallet Wrapping Machines, and also supply materials and servicng for all types of machines. We stock a range of new and used second hand machines for delivery across the UK.